Tony Hsieh Discusses The B.I.G. Summit from Tina Brown on Vimeo. Tony Jenkins is Market President, Central Florida Region of Florida Blue on The BIG Summit from Tina Brown on Vimeo. 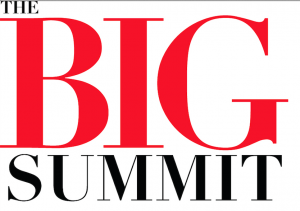 Full Sail University President Garry Jones on The B.I.G Summit from Tina Brown on Vimeo. Jessica Jackley, Founder l Kiva.org at The BIG Summit from Tina Brown on Vimeo. Jayson Whitmore – Co-Founder, Partner and Creative Director l Royale at The Business Innovation and Growth (BIG) Summit from Tina Brown on Vimeo.